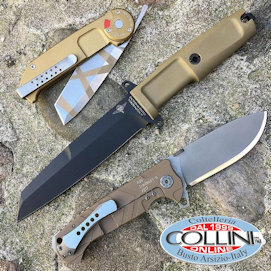 Although Mike still calls it a "family-run" site, CollectorKnives boasts a rather large catalog of knives and accessories from which excellent names of Italian production do not escape. And it is precisely with Lionsteel that from August 2017 begins the production of exclusive models for CollectorKnives. The knives in question wink at the classic design, but the materials used are extremely modern and sophisticated. Through the German retailer Tools for Gents you can buy some of these exclusive models. The one considered in this article is the LionSteel Shuffler Clip Jack with G10 OD Green grips. From the first glance, the enthusiast will not miss the clear reference to the traditional Barlow knives to which the LionSteel Shuffler is inspired. The first barlow knives were produced in Sheffield, England, around the end of the 1600s. However, it was most successful in the United States, around 1785, when the John Russell Cutlery Company became the largest manufacturer, turning the barlow into a traditional "American" product. Among the well-known people who showed off the barlow knives we mention George Washington; furthermore Mark Twain also referred to a "real Barlow" in his "Tom Sawyer and Huckleberry Finn" in 1876. The satin-finished blade of the Lionsteel Shuffler, 75 mm long and 2 mm thick, has a clip-point profile characterized by a swedge. The steel used is the M390 hardened to 60 -61 HRC. As can be expected, there are no aids for one-hand blade opening, in fact only an ambidextrous nail mark parallel to the blade spine is present. During the rotation of the blade, the dorsal spring offers the right resistance. Onces the knife is opened you can perceive an excellent sense of solidity. The handle is made up of two titanium liners to which are fixed, by means of four small Torx screws, both satin titanium bolsters and the G10 scales. The fine texture of the scales confers a nice grip. Given the size of the knife and the intended use, neither the pocket clip nor the lanyard hole were taken into consideration, even if, in favor of tradition, the presence of a bail and chain would be good. We tested the LionSteel Shuffler's factory sharpening with different materials from paper and cardboard to ropes and ribbons, noting a very good sharpening and edge retention. However, the reduced dimensions of the handle do not favor cutting operations, especially if they require particular effort. In conclusion the Shuffler fully respects the build quality that LionSteel has accustomed us to, the mixture of classic lines and modern materials is apt, making the knife an excellent companion for daily activities. Moreover, the lack of both the locking system and the one-handed opening, open even more to the possibility to carry this knife in Countries where this is allowed. 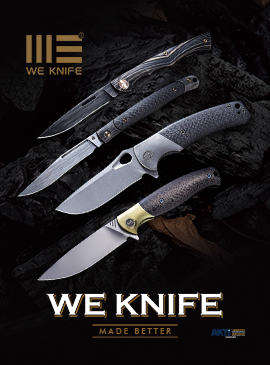 The LionSteel Shuffler is also available with spear point and sheepfoot profile blades, while, as an alternative to G10 scales, there are various materials in the catalog such as: carbon fiber, deer horn and micarta. The indicative price is € 135-150 depending on the finish and materials.